I found another wicked cool looking rainforest animal to incorporate into a nail art design for today's Digit-al Dozen mani. I believe the image I based my mani off of is Photoshopped because I found the exact same picture in multiple different color variations, but this ended up looking so cool I don't even care! 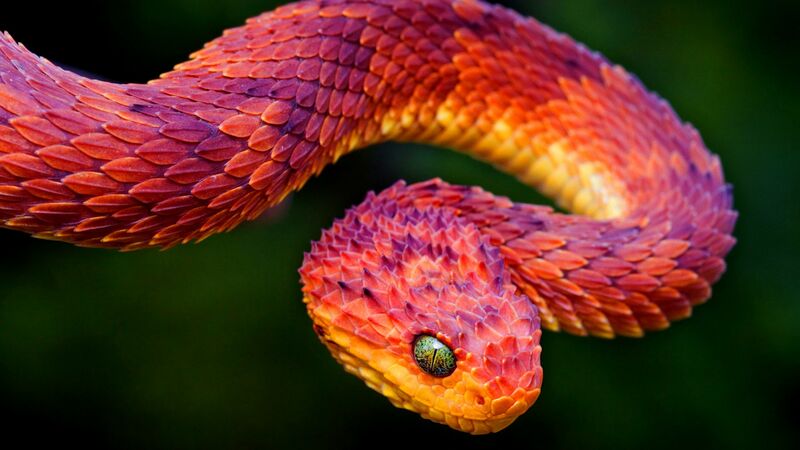 This one is inspired by the Bush Viper. This was a fun one, I didn't want to take it off!